For today’s addition to “Becoming a Search Ninja,” I’ve added in a section on how to detect fake news and how to understand the science behind your search results. Being a search ninja is not only about searching effectively, but understanding how searching works. Check out the new additions to “Becoming a Search Ninja” below (new additions appear after slide 89). You may also check out Fennovation.org for a digital citizenship approach to searching. With digital citizenship week approaching, how have you been teaching students how to search. Let’s not simply ask them to search. Let’s teach them HOW. Being able to search, find, and evaluate information are critical skills. Think about how many times a day you use them. However, it’s often assumed students just know how to search, find, and evaluate. On something this critical, it’s not beneficial to students to just assume. So, I’ve prepared some of my favorite search, find, and evaluate strategies built into Google in one presentation: Become a Search Ninja. Know of more? Share with me! Check out fennovation.org for all things Google. Become a Google Search Ninja! Searching is what took me down this career path. As a high school English teacher, I found myself frustrated by my students’ lack of searching skills. These skills were placed on the backs of English teachers, but they were life skills. Somewhere along the way, the searching skill-set got dropped. So, I vowed to make a difference in this area. Google has made strides in making searching easier, safer, more efficient, and beneficial. Over the past two years, I have compiled my favorite Google searching tips into one presentation. So, enjoy! Share any tips I missed, too. You can find all things Googlicious at fennovation.org. Today’s update: Google Fortunetelling – used as a way to bring awareness to causes Google cares about. Google started off as search engine so, today, we bring it back to its roots. Searching is one of the – if not the most – important skills. Without the ability to search, find, and evaluate information, we are only swimming in a sea of information. Searching gives us the ability to navigate it. I’d love to see searching as a fundamental skill in all schools. Think about how often you search – probably multiple times a day. It’s a key component to modern living. To aid in that dream, I’m compiled some of my favorite searching shortcuts & tools built inside Google as well as a few other great tips and tricks! Check out this presentation for more details as well as fennvoation.org for all of your Google goodness. Searching like a ninja is my favorite skill. It’s also a pet peeve of mine. When you can’t search, it’s hard to be productive, efficient, or to advance. If you can’t find quality information, you can’t learn from it and you can’t move forward. With that, I’ve been compiling my favorite Google search tips into one presentation. Though we teach students a variety of engines to use when searching, Google is the one they use when they go home. It is usually the one they use when they are on their own. So, why not teach them how to be proficient in it. How is your proficiency? Do a Google search for “fun facts.” It will provide you with a random array of questions and their answers…a quick way to learn trivia. As we start back the school year, I feel the urge to remind others how important searching is as a life skill. As educators and adults, we expect that students can search. We start research projects and we expect students to be able to find valuable and critical sources online – without any or much training. This is a travesty to me. When they leave school each day, one of the first things they will do with electronic devices is search. Rather than figure out the answer themselves or ask someone, many will search. And with millions of search results to sort through, that task is enormous. 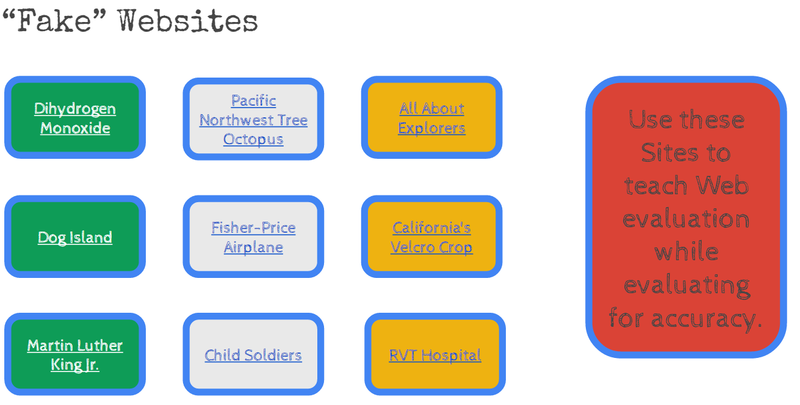 So, to help with that and to encourage teachers to incorporate basic search lessons into their classroom, I have compiled some of my favorite Google search resources into one presentation. You can view for information on fennovation.org. In the meantime, enjoy and search! Searching and searching effectively are two of my favorite topics. In fact, I think they are critical life skills. So, I’ve started compiling all of Google’s best resources for searching. Check them out and share those I may have missed. Check out Fennovation.org for more details! Just when you thought Google search could not get any more awesome, it does! Below are some of the recent tips to aid in Google searching. These are all part of a series in Becoming a Google Search Ninja on Fennovation.org. Check out Bryan Clark’s article. If you want more search tips, check out Becoming a Search Ninja, available on Fennovation.org.